Colorado is all about the outdoors. Pick a season, any season, and you’ll find plenty to do including some amazing motorcycle road trips. 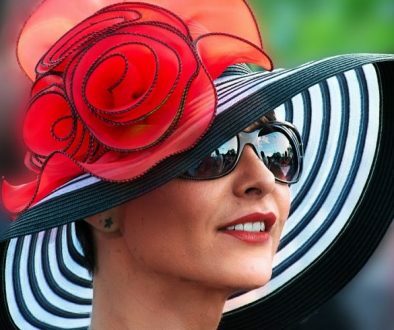 Telluride was in for a treat, when two of my best (and hottest!) 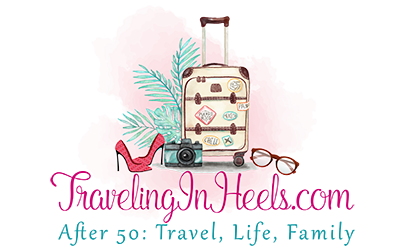 biker mamas agreed to join me and two of our men for a road trip from Denver to southwest Colorado. Motorcycle Road Trip Telluride, Colorado over Monarch Pass with my two BFFs. 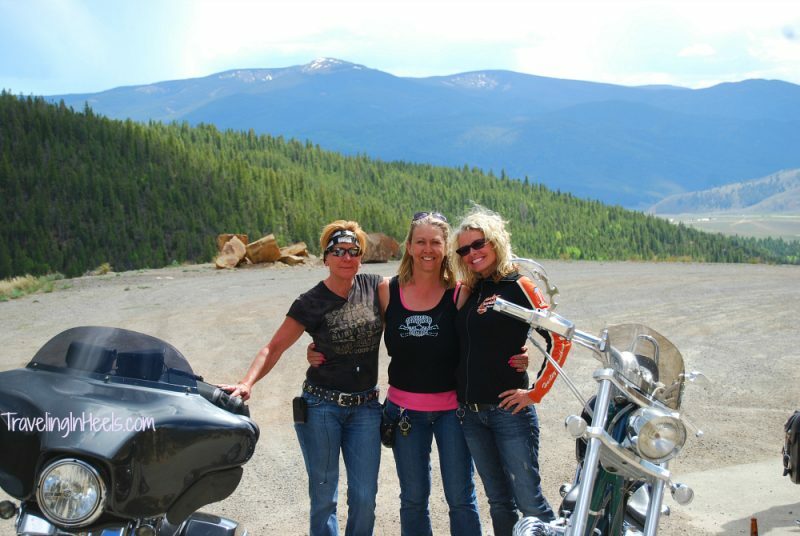 (Picture taken on Monarch Pass, between Salida and Gunnison, L to R: Gail, Diana (me) and Vicki). If you’ve been here, you know — God created Colorado for motorcycle riding. For our 4-day road trip to Telluride, the June weather couldn’t have been more perfect, high 90s in Denver 70s in the San Juan Mountains. Telluride sits at 8,750 feet above sea level, and the entire town is designated a National Historic Landmark. Tucked into a box canyon surrounded by 13,000 and 14,000-foot peaks, Telluride is a town of just eight blocks wide and twelve blocks long, and designated a National Historic Landmark District in 1964. ith the town’s colorful Victorian-era homes, clapboard storefronts, boutiques, art galleries, gourmet restaurants, historic buildings and more, Telluride is a delight to explore, and the perfect setting for just about anything including motorcycle rides. Even though we’re from the Mile High City (Denver), the uphill walks reminded us that the air is thinner here. 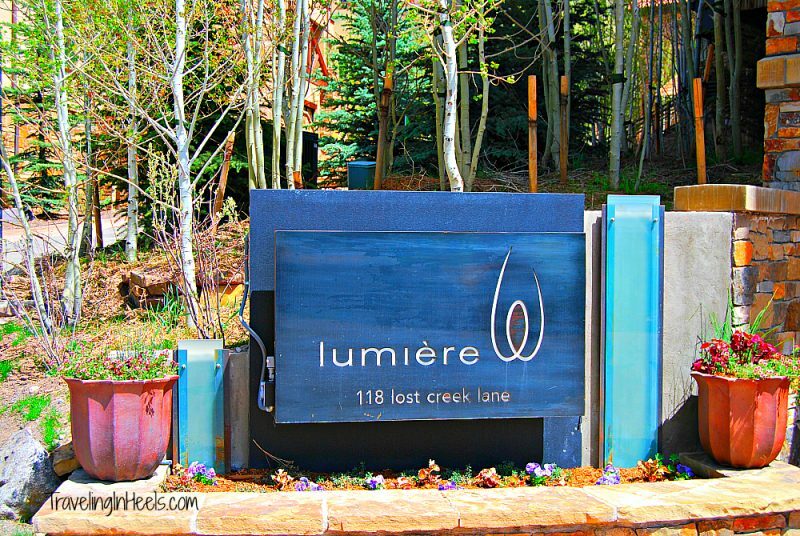 We were lucky to stay in Lumiere, a boutique luxury hotel, located above Telluride in its sister town, Mountain Village. 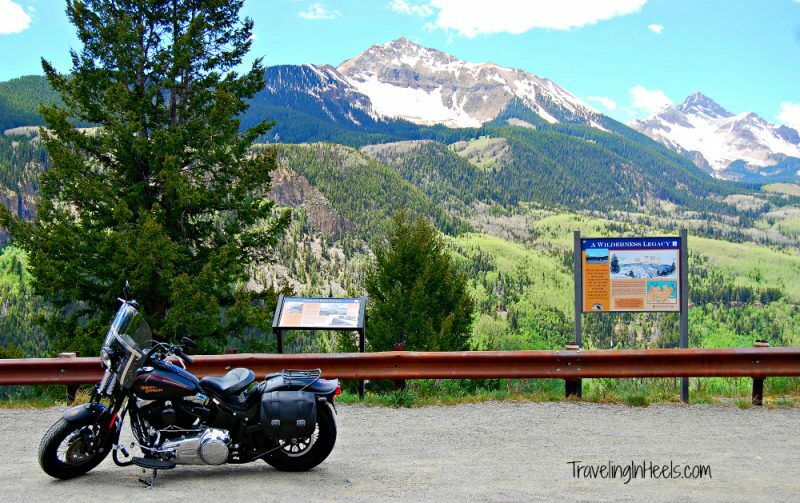 Plenty of motorcycle road tripping to be had near Telluride, Colorado, including a scenic stop with a history lesson on the Ophir Loop a few miles outside of Telluride. Plenty of motorcycle road tripping to be had near Telluride, Colorado, including a scenic stop with a history lesson on the Ophir Loop. We all agreed — summer in Telluride is one of our favorite motorcycle rides. 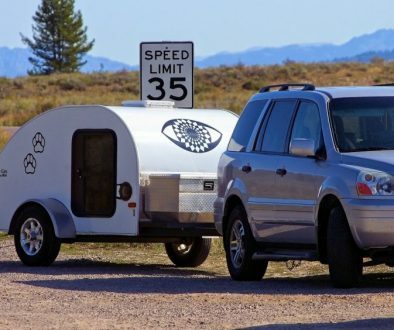 You can extend your ride into Durango, ride the Million Dollar Highway to Silverton; stay in Ouray, and even continue to Mesa Verde National Park near Cortez. So many opportunities to explore and experience Colorado on your motorcycle! 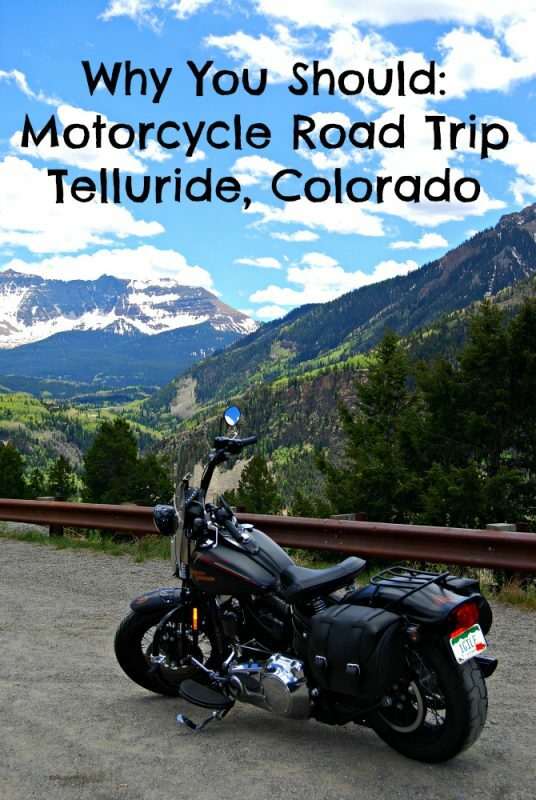 Read more about my Telluride adventures from fly fishing to motorcycling on this blog. P.S. Vicki even bought a new pair of biker boots!